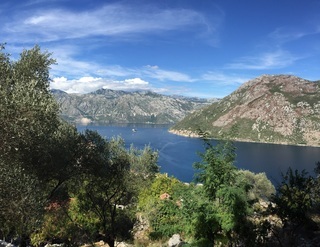 Explore hidden coves, tranquil lakes, and beautiful coastline as we take in some of Montenegro's finest landscapes from a truly unique perspective. With imposing mountains rising out of the area's fjords, this is a unique opportunity to discover the breathtaking natural beauty of such a scenic and historic corner of the European continent. 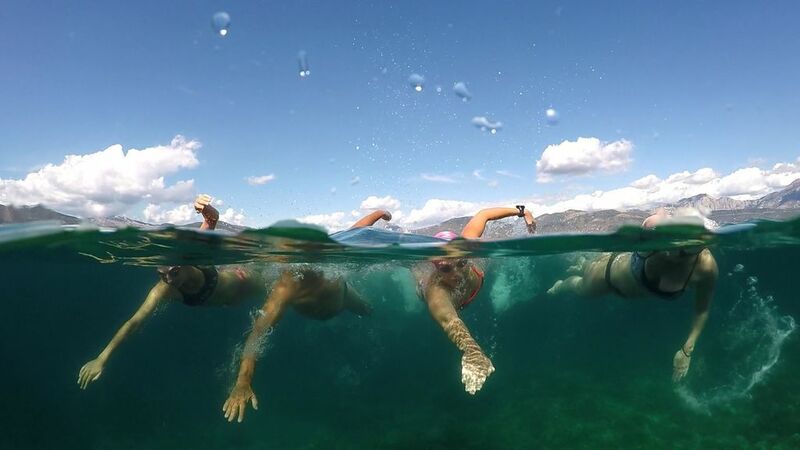 From a swim in the famous 'blue cave' of Plava Špilja to the crossing of the Gulf of Kotor and island hopping between monasteries in Lake Skadar, this trip is filled with amazing swimming experiences which will stay with you long after your last stroke in the water. At the end of each day, you will have the chance to relax and unwind in a refurbished former palace in the historical town of Perast. The beautiful Perast Palace offers stunning accommodation, with a wide range of room options, an open-air terrace, and picture-perfect views of the breathtaking Bay of Kotor. 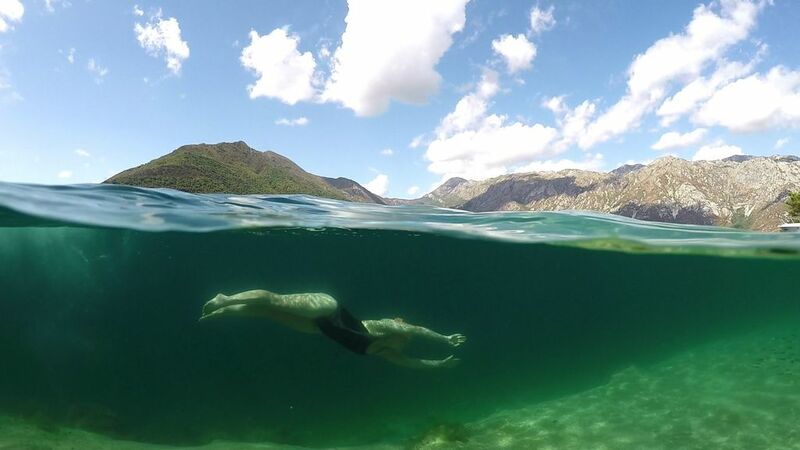 This trip is ideal for guests who are keen to swim in a full range of open water types, from lakes and rivers to fjords and the sea. Swimmers should have a basic understanding of open water swimming and be capable of completing the average daily swim distance of around 5km (split over a minimum of two swims) prior to the start of the trip. We meet at our accommodation which is nestled near the bottom of the hill a short walk from the water, accessed by a flight of 60 stone steps. After a chance to relax, you will meet your guides and fellow swimmers for a safety briefing and discussion of the week ahead. 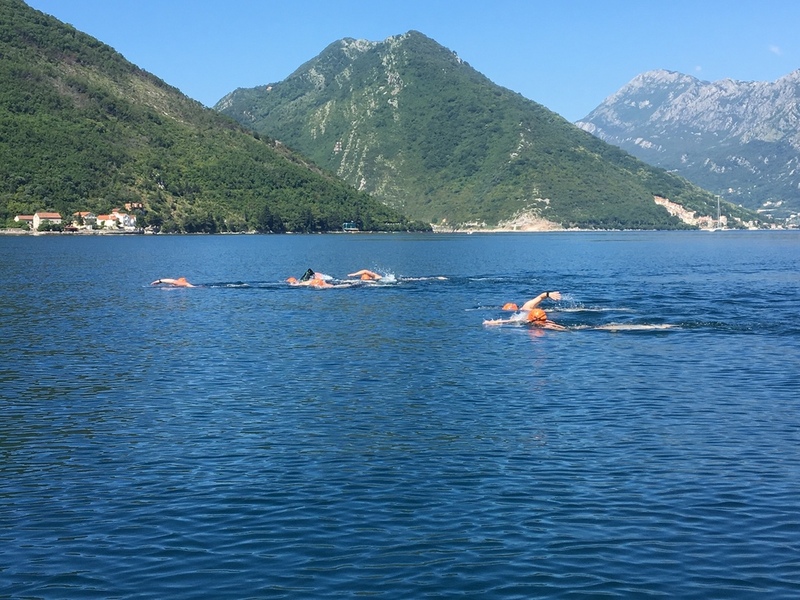 We will then hold an acclimatisation swim nearby, which will be followed by an optional traditional Montenegrin group meal at the house. After breakfast, our first swim is out to the two islands lying just off Perast; Saint George Island and “Our Lady of the Rocks” Island. It’s an excellent and exciting way to start the trip as we are surrounded by the imposing fjords that dominate the landscape in this area. The afternoon is given over to stroke improvement, where the guides record and analyse your stroke above and below the water, which will be reviewed later in the evening. 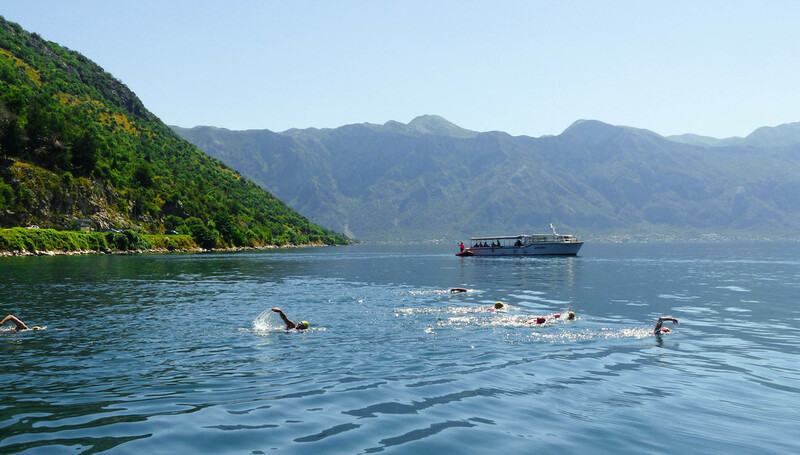 The second swim of the day is along the coast to the oldest settlement of the Bay of Kotor, the city of Risan. The view from here is unrivalled as the entire Bay of Kotor is laid out before us. We travel out of the Bay of Kotor through the narrow Verige Strait into Tivat Bay, but before we do so, we have time to stop and visit the church on “Our Lady of the Rocks” island. 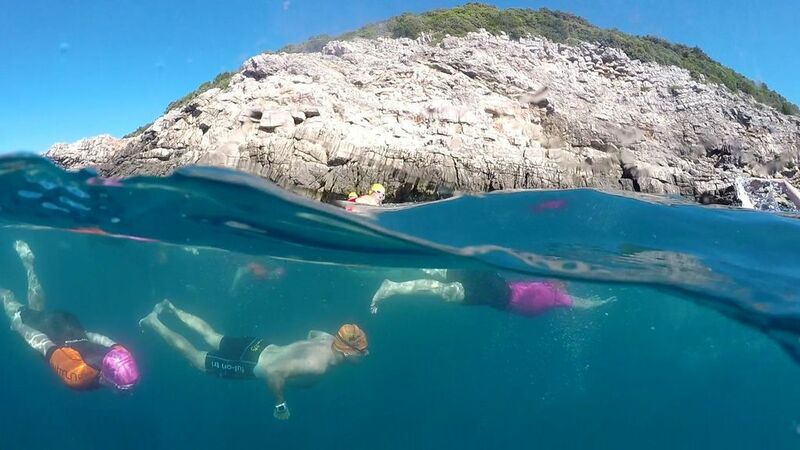 We then go on to swim between the islands of Prevlaka, Sveti Marko and Gospa od Milosrđa. Sveti Marko is known for its flowers and the whole swim is both intriguing and varied. 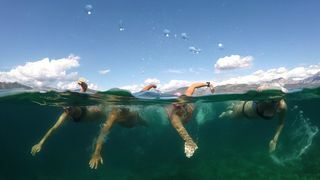 After lunch, near the white-stone village of Bjelila, we swim up the Luštica Peninsula, a sparsely inhabited finger of land dotted with hilltop and seafront villages, finishing at the small fishing village of Franciskovići. 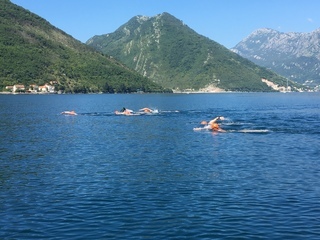 This day is significantly different from the rest of the trip as we travel to Lake Skadar, located across the Montenegrin/Albanian border, for a unique experience of lake and river swimming in fresh water. We make our escape from Grmožur, the “Montenegrin Alcatraz,” to the deepest part of the lake, the old fishing village of Raduš. The afternoon is spent swimming upstream in the cooler waters of the Morača River and ending at the 8th century Monastery of St Nikola. 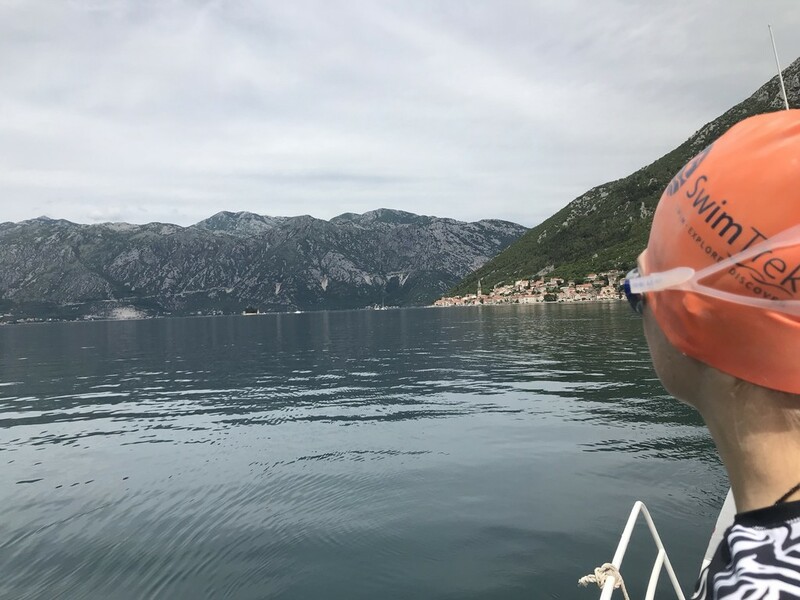 On the way back to Perast we have a break from travel to take in the majestic view of the private village and beaches of Sveti Stefan, perched on a rocky outcrop and joined to the mainland by a narrow isthmus. Starting in the Bay of Kotor we complete a crossing to the picturesque hamlet of Stoliv nestled on the Gulf’s remote western shore. From here, there is an optional 45-minute walk to the Church of Gornji Stoliv located on the slopes of Mt Velji Vrh. The views from 300m above the Gulf are truly breathtaking. 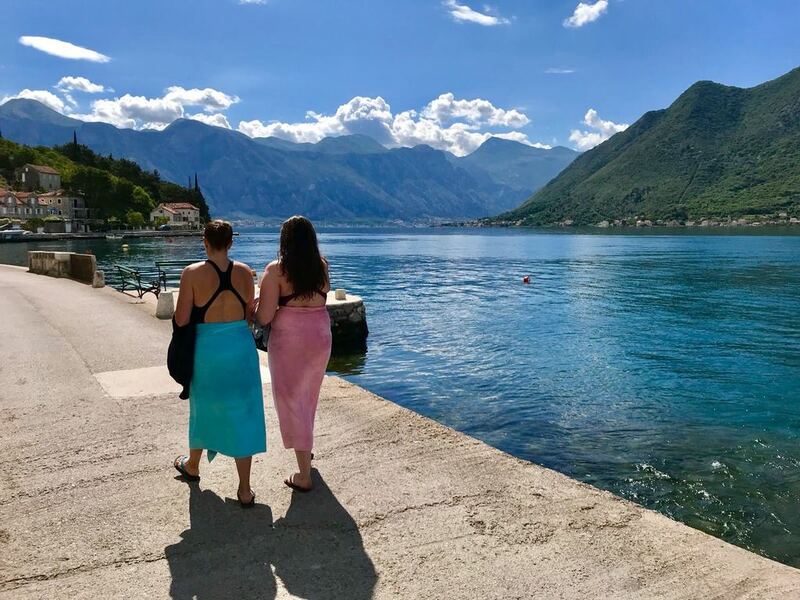 After lunch, you have some free time to either relax at Perast Palace or catch a bus or taxi to the nearby town of Kotor where you can wander around and take in the charm of this UNESCO World Heritage Listed site which dates back as far as the 12th century. Travelling through the Verige Strait, we head to the Adriatic shoreline of the Luštica Peninsula and to the coastal village of Žanjica, which is only 4km from the Croatian border. Lunch is on the land today, with the opportunity to buy a local Taverna lunch and explore the village. From Žanjica we head from Rose along the coast to Prstan, stopping to explore the WWII submarine tunnel. 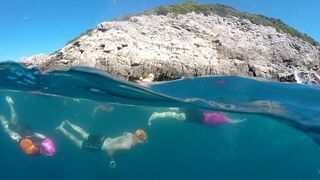 The afternoon is taken up swimming in and out of caves along the Adriatic coast and ending in the largest and most famous cave in Montenegro; “Plava Špilja” (“Blue Grotto”). The cave is over nine metres high the water temperature inside is often a few degrees warmer than the outside sea temperature. 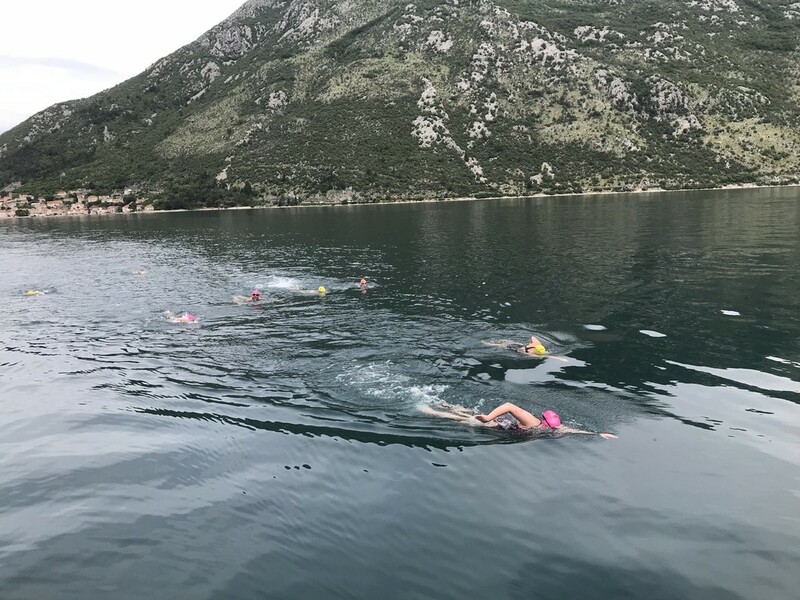 After breakfast, there is time for a final morning swim in Perast before the trip finishes at our accommodation at 11:00. Note: There is no need to pack towels as the accommodation provides a couple of towels that can be used outside of the house. Most walks take place on recognised paths and tracks, however there may be cases where we walk along trails or other unsealed surfaces and care should be taken in these areas. 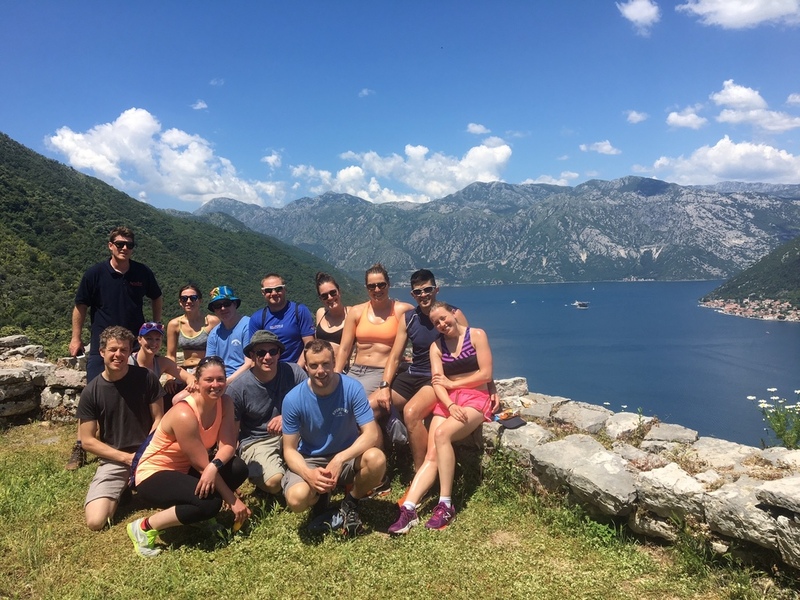 On Day 5 there is an optional 45-minute walk to the Church of Gornji and should you wish to visit Kotor, there is also the option to take the climb up the 1,350 steps to the Kotor Fort. *Please note that these temperatures relate to the Bay of Kotor and should be used as a guide only. Water temperatures in the lakes and rivers in which we swim may be 3-5˚C cooler than these temperatures. 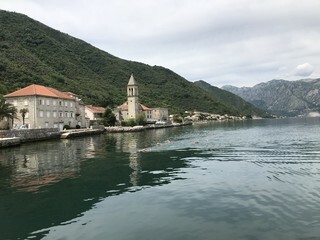 It is also possible to fly into Tivat Airport in Montenegro, which is located closer to Perast but is a smaller airport than Dubrovnik and has fewer international flight arrivals. 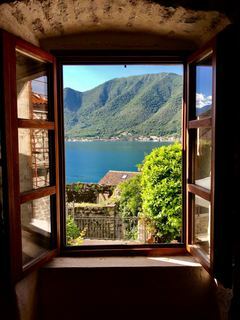 Please note that flights are often not available on Saturdays, so you may need book an extra night’s accommodation at Perast Palace prior to the start of your trip. If you are planning to stay in Dubrovnik before or after your trip and need a transfer between the airport and your accommodation (including to meet the shared transfer on Day 1), please email Mihajlo with your arrival details or travel plans: info@dubrovnik-airport-carhire.com. All breakfasts and lunches (excluding lunch on day six) are included on this trip. On the first night, an optional 3-course welcome dinner is held at the Perast Palace at a cost of €20 per person. This meal is always a great way for you to get to know your guides and fellow swimmers over a delicious, homemade meal, however, if you wish not to be included, please let the SwimTrek office know prior to your departure. Vegetarian and vegan options are available upon request. Please do get in get in contact with the SwimTrek customer team to let them know of any dietary requirements. Other dinners are not included, allowing you to experience the local restaurants of your choice over the course of your trip. The average cost of dinner in a local restaurant is €20-25. You should bring extra money with you to cover such items as entertainment, meals etc. The local currency in Montenegro is the Euro (€). There is one ATM located in Perast, as well as others nearby in Risan (3km from Perast) and Kotor (12km from Perast). Please be aware that the currency in Dubrovnik is Croatian Kuna, not Euros, so it’s best to get Euros and Kuna prior to travelling. 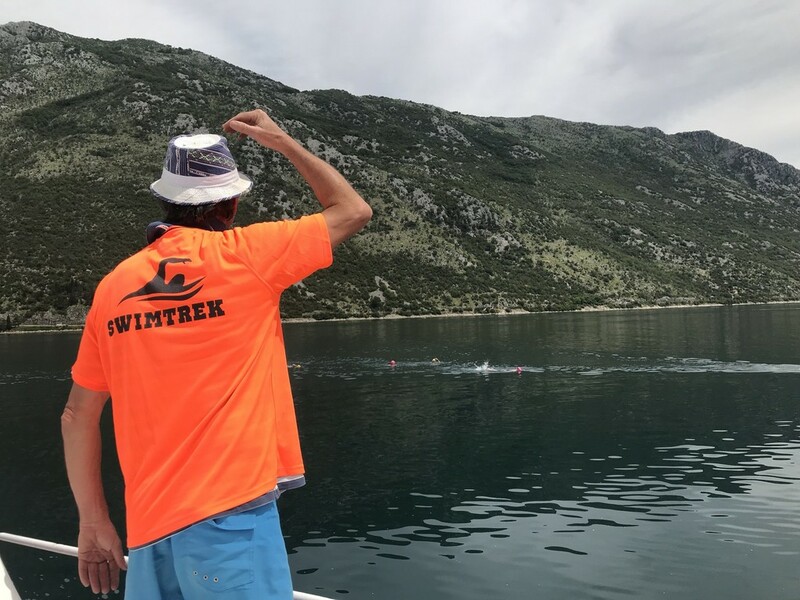 A week of SwimTrek in Montenegro exceeded all my expectations. 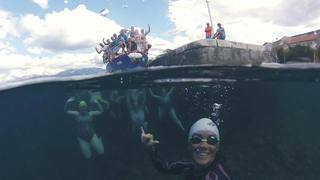 To swim in such stunning locations with great guides and a fun group of new friends was an amazing experience that I feel grateful to have experienced. This trip reminded me of why swimming is good for my soul. 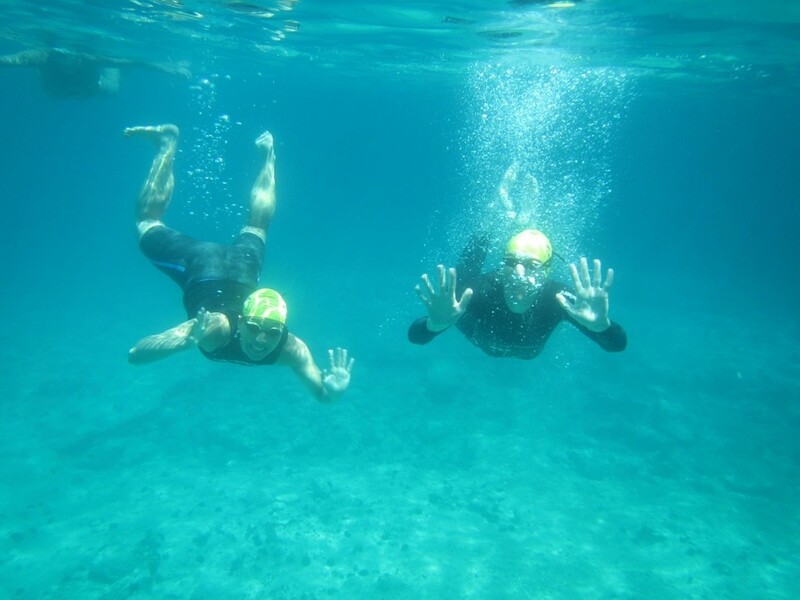 If you love to swim and love to travel, SwimTrek is the vacation for you. 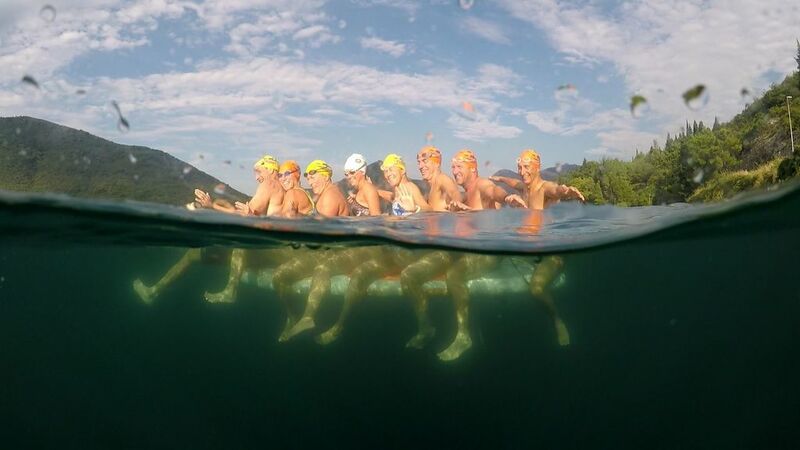 Go by yourself, or take 14 of your best swimming friends, like I did. Either way, you can't beat the friendliness and quality of service, the local knowledge of the water environment, the swim expertise of the guides, and above-all, the safety standards and guidelines that are adhered to. 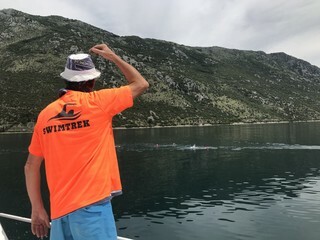 SwimTrek, you have 15 new fans for life! This was a magical vacation. So perfect with the swim, hikes, food and drink!! My perfect vacation! Variety of swims, warmth of welcome and accommodation makes this trip a must for all SwimTrek addicts. Swimming in the only Mediterranean fjord, was just an outstanding experience. The Perast Palace is a gorgeous former palace which has been totally refurbished in a traditional Montenegrin style. Ideally situated in an area of outstanding natural beauty, the palace overlooks the Bay of Kotor and offers a number of different bedrooms options, as well as large open plan living areas with spectacular views.